One of the many advantages of living in Vancouver is the easy proximity to the mountains, and specifically to the popular resort of Whistler. I recently took a mini-getaway there and stayed at the charming Edgewater Lodge, which I highly recommend. 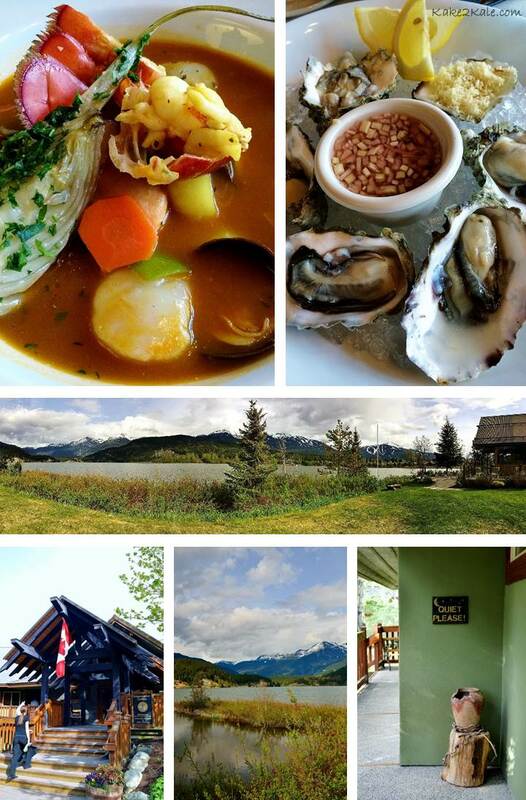 Aside from enjoying some R&R and panoramic views, I also had an amazing dinner of fresh oysters and bouillabaisse. Normally, I would enjoy these foods simply because of their delectable flavours; however, from a superfoods perspective, I’m happy to share that there is more to love with oysters and bouillabaisse! When I went online to do some research, I was surprised to find that oysters are one of the top superfoods, packed with healthy benefits. They are an astounding source of lean protein and essential nutrients, including vitamins A, E, C, D, B12, calcium, selenium, potassium, magnesium, and calcium. The research indicates that oysters contain more zinc (promotes healing) than any other food. They are also rich in omega-3 fatty acids and iron. And, as if that wasn’t enough, they are also low in calories and fat, plus can help lower your cholesterol. Bouillabaisse, a traditional French fish stew, is a powerhouse dish of superfoods. The version I had was filled with a lobster, scallops, clams, shrimps, salmon, fennel and other vegetables. Scallops, clams, shrimp and salmon are great lean proteins, similar to oysters. Scallops are an excellent source of B12, magnesium and potassium – all great for cardiovascular health. Clams top the list as a source of B12 but they are also an Omega-3 and iron-rich food. Lobster is a good source of vitamin E. Shrimp is loaded with Vitamin D, B3, zinc and many other nutrients. Salmon contains a range of great B vitamins and is high in Omega-3 fatty acids. Who knew there was so much goodness in a bowl of bouillabaisse?